Some of you may remember when I shared the contents of my bag awhile ago. 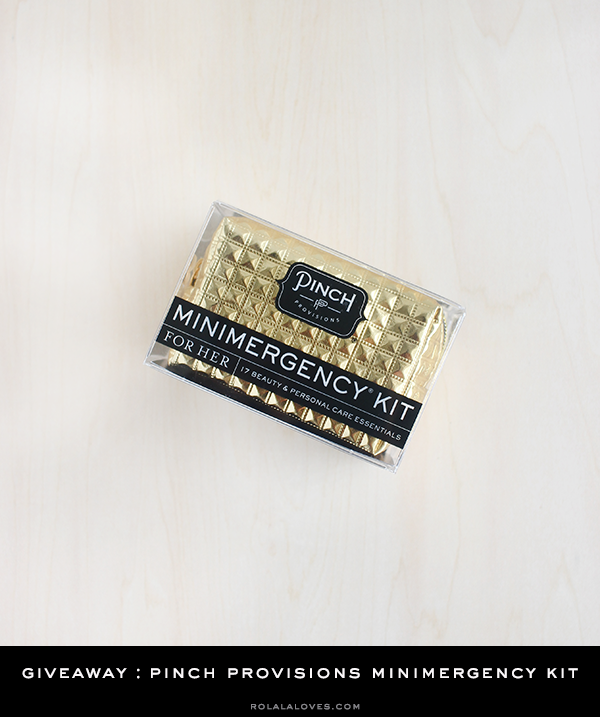 Well I've recently added a Pinch Provisions Minimergency Kit to the stash. 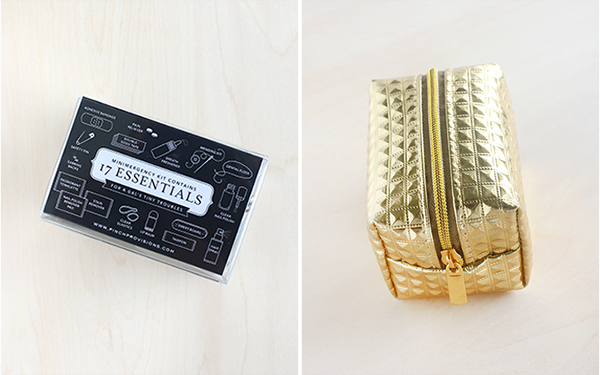 This super handy kit packs 17 emergency essentials into a portable, cute little zip pouch. I haven't had occasion to use any of the items yet but I certainly like being prepared for some of life's little emergencies. I think this is fantastic item to have in my purse and it would make for a great gift as well. In fact I liked it so much, I picked up another one just to give away. This is an international giveaway that starts June 15, 2015 and ends on June 30, 2015. Entries will be verified for eligibility. One winner will be randomly selected. You can enter through this link or the Rafflecopter widget below. The widget can be a little temperamental so if it doesn't load on this page, just CLICK THROUGH HERE FOR IT. Good luck! I always carry my pain reliever because sometimes on busy days I have headaches, so I never leave the house without a good pain reliever! I try to always carry some kind of water bottle and napkins! Hi Rowena, this kit is very useful. I love the pouch. What a neat little kit :-) Good luck to everyone who's entering! LOVE pinch!! i have a few of these and give them as gifts. Que maximo amei, uma semana abençoada. How cool is that!! I hope I win! I always carry a bottle of Motrin in my bag in case of a migraine. I didn't even know there's an emergency kit for us women! LOL! The pouch itself makes the kit worthwhile, it's so pretty and definitely a great kit to have in the bag! The kit is very useful, good luck girls! This kit is precious! I like the idea of being prepared and now that I have read what it contains I like this kit even more...mini hair spray? how cute is that! I do agree with you that it would make a wonderful gift. I wish you a great start of the week!!!!! Chapstick, because I hate when my lips feel dry. I have a few things from Pinch as well, and they have everything you need. So great for on the go! Oh, love this kit! Such a useful item to have and it makes a great gift too. I always carry a pain reliever for my headaches, a tampon (we all know why :D ), a lip balm for my dry lips and paper handkerchiefs. Everything a woman / girl needs! Definitely perfect for travelling! That is really cool Rowena! I'm always losing the backs to my earrings. HaHaHa It's so good they included that one. Love it! I love this kit...the gold pouch is so cute! I always carry a water bottle in case I get thirsty. I know these are great. I have one of these, they are perfect for Fashion Week or attending a long event. i love this...saw some near the checkout at our sephora and was tempted to get one. i always have bobby pins and hair ties because when it gets hot, especially on the drive home, i have to be able to put my hair up. That looks like a pretty cute set! I always have some type of lip balm or lipstick for a quick flash of color! So need one of these and the golden bag is very pretty. Love this kit! I am always carrying at least three different lip products and my pink iPod! Such a fab kit!!. Lovely giveaway!! R: yes, it is interesting how easy it is to dress down an outfit! This is a really cool post! This is amazing! What a great kit! I just love this emergency kit. Every girl needs one in her purse. I know I always have one whenever I need it.This is such a cool post Rowena. Such a cutie kit to have.. I always carry pain reliever, band aids, hair spray (even takes out ink stains!) and double sided tape (for almost every fashion emergency). I love how everything is so mini size and cute! Lipbalm and band aids, i must always keep my lips moisturized especially where i live ( crazy hot weather) and for the band aids it became a habit of mine to have atleast one cause you'll never know when you get a cut / blister and this is also due to my work wherein i work in the kitchen so its a must! I always carry a lip balm for my dry lips. Thank you for this giveaway! I always take chapstick and deodorant with in my purse since I hate chapped lips and b.o. Thanks for the giveaway! Love these minimergency kits! I gave one to my future sister-in-law for Christmas! What a brilliant idea ! 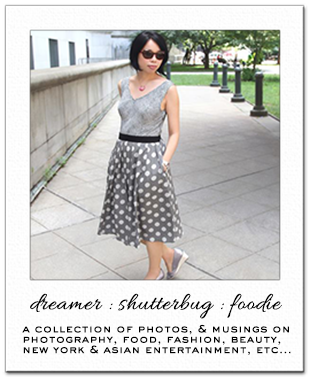 Thanks for this great opportunity to win, Rowena ! I always carry lip balm in my purse because with sensitive skin my lips are always dry. Lipstick, i always touch up when needed ! I always carry a lip balm in my purse cause my lips are dry. I always caryy chapstick. Lovely giveaway! Tampon and band aids. Always helpful.. even if not for me. I always carry chapstick! I don't know why, but I honestly don't think I could survive without it! Dry lips just freak me out. i always carry nail clippers because I hate having a hangnail and no way to get rid of it. I always bring hand sanitizer with me! I can't stand my hands being dirty or smelling funny after handling food or anything else. I always carry a nail file in my purse because i have thin fragile nails that are easily broken. I always carry lip balm and powder!